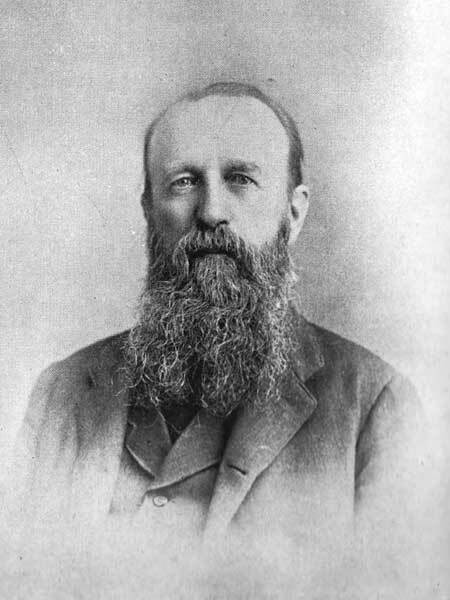 Born at Edinburgh, Scotland in 1828, son of John Agnew and Hume Turnbull, he came to Canada in 1833 and settled in Ontario, initially working as a farmer and later engaging in the insurance business. He was educated at Victoria College (Cobourg), graduating in 1858 with a medical degree from McGill University (Montreal). He practiced at Prince Albert, Ontario, then at Toronto, finally moving to Winnipeg where he specialized in diseases of the eye, ear, and throat. He was married in 1863 to Jane Somerville Ross of London,Ontario, daughter of railway contractor George Ross, with whom he had four sons (John Hume Agnew; William L. Agnew, a cashier with the St. Paul Trust Company at St. Paul, Minnesota; and Fred R. Agnew of Winnipeg) and three daughters (Maggie L. Agnew, a teacher at Winnipeg; Helena Agnew, later Mrs. John Lethbridge of Lethbridge, Alberta; and Mary Agnew of Winnipeg). He died at St. Paul, Minnesota on 1 March 1905. “Former city physician dead,” Manitoba Free Press, 3 March 1905, page 7.